As the “City of Choice”, we provide quality and responsible public services to residents and visitors of our community. 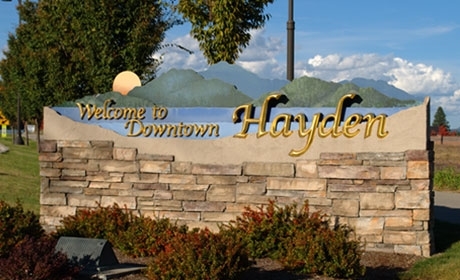 The City of Hayden sets the trend in exceptional municipal service both in and outside of the state of Idaho. We believe in honest and ethical interactions with each other and our customers. We are known for being trustworthy stewards of public resources and we believe in being accountable for our actions. We constantly look for ways to strengthen the public’s trust. We are dedicated to ensuring that we portray a professional image of the City in everything we do. Our customers and stakeholders consider us reliable and dedicated to providing the best public service. We are punctual in response and flexible in our approach to customer needs. We believe in treating each other and our stakeholders with respect. We are friendly, patient and compassionate when dealing with others. We consider the uniqueness of our team (culture, religion, backgrounds and beliefs) and value the input of each employee. We provide exceptional and responsive service to all of our internal and external customers. We are known for being open and accessible, consistent in our application and efficient in our operations. We are motivated to serve our community. We seek a team approach in our work and we do it with a sense for fun. We work on each other’s strengths and compensate for each other’s weaknesses. We are innovative and visionary in our approach to service to the community. We believe in being leaders by anticipating organizational needs and acting to meet those needs. We positively influence community participation and awareness and our actions serve as persuasive examples for others to follow.